First Flight Wind, the consortium selected to develop Northern Ireland’s first offshore wind farm off the coast of County Down, gave a presentation (on Monday 7 January) to councillors from Newry and Mourne District Council and Down District Council. Michael Harper from First Flight Wind outlined the proposed offshore project and the consultation process so far. Phil Elliott from DOE Marine Division gave the councillors an insight into Marine Licensing and the consenting process. 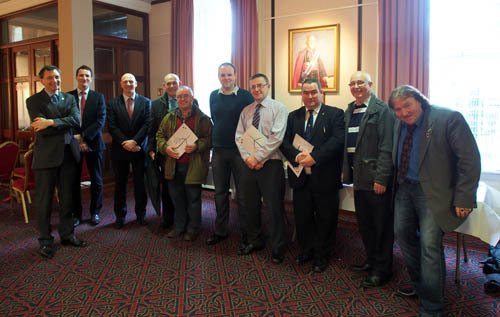 A representative from Louth County Council also attended the meeting which was held at Newry Arts Centre. Councillors from Newrya and Mourne and DownsDistricl Council met representatives from First Flight Wind and the DOE to discuss future windfarm proposals for off the County Down Coast.